The site's owners are exploring the possibility of selling the site as two separate plots. 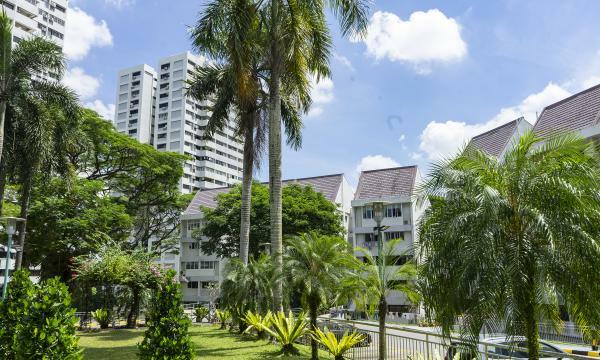 Braddell View estate – one of the largest private residential sites in Singapore – will be put up for collective sale via public tender on 27 March 2019 for a reserve price of $2.08b, Colliers International revealed. About 80% of the property owners by both share value and strata area have agreed to put the development on the market. 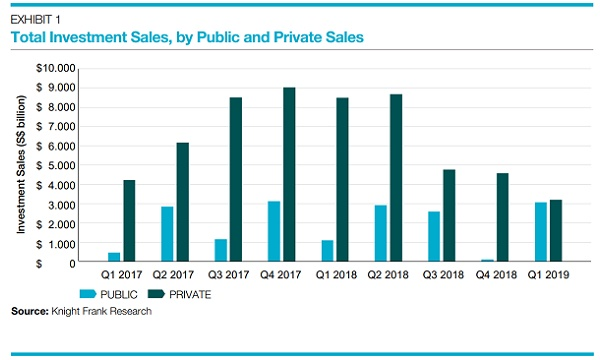 The $2.08b reserve price translates to a land rate of $1,199 per square foot per plot ratio (psf ppr), inclusive of the differential premium to intensify land use and to top up the lease to a fresh 99 years which is estimated at $795.1m. The Braddell View site has a lease tenure of about 102 years with effect from 1 February 1978. Braddell View, a former Housing and Urban Development Company (HUDC) estate, was privatised in 2017 and sits on a sprawling hilltop site spanning 106,121.1 sqm (1.14 million sqft). The redevelopment site comprises two separate land lots: Lot 4487X (57,434.7 sqm or about 618,221 sqft) and Lot 4490X (48,686.4 sqm or about 524,055 sqft). The Braddell View site is close to a range of amenities such as the Mount Alvernia Hospital, the healthcare hub in Novena, and schools including Marymount Convent School, Raffles Institution, Raffles Junior College, Catholic High School, and CHIJ Secondary (Toa Payoh). It is also within walking distance to the MacRitchie Reservoir Park. The redevelopment site has access to the Pan Island Expressway and Central Expressway. It is well-served by three surrounding MRT stations: the Braddell MRT on the North-South Line; and the Marymount and Caldecott MRT stations on the Circle Line. The upcoming North-South Corridor (NSC) near the Braddell View site is expected to further improve accessibility. The sizes of residential units at Braddell View range between 135 sqm and 313 sqm (about 1,453 sqft and 3,369 sqft). Depending on the size of their property, the owners of residential units stand to receive between $2.04m and $4.03m each upon the successful sale of the development. Meanwhile, owners of the commercial shops, which span 18 sqm and 48 sqm (194 sqft and 517 sqft), could receive about $529,500 and $1.2m respectively. Under the Master Plan 2014, the Braddell View site is zoned Residential with a Gross Plot Ratio of 2.1 and will have a proposed total Gross Floor Area (GFA) of 222,854.3 sqm (approximately 2,398,781 sqft). Subject to approval from the relevant authorities, Colliers estimates that up to 2,620 new residential units with an average size of 85 sqm (approximately 915 sqft) could be built on the site, subject to Pre-Application Feasibility Study approval. The tender for Braddell View will close at 3 p.m. on 28 May 2019.